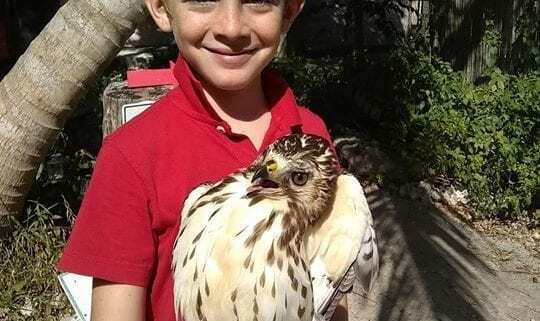 Another Broad-winged hawk released back to the wild after it was found floating on a weedline offshore. Migrating raptors occasionally mistake these patches of sea grass for land. Once they get wet it’s impossible to take off without webbed feet. Luckily, a boater spotted this exhausted bird, rescued it and then called us for help. 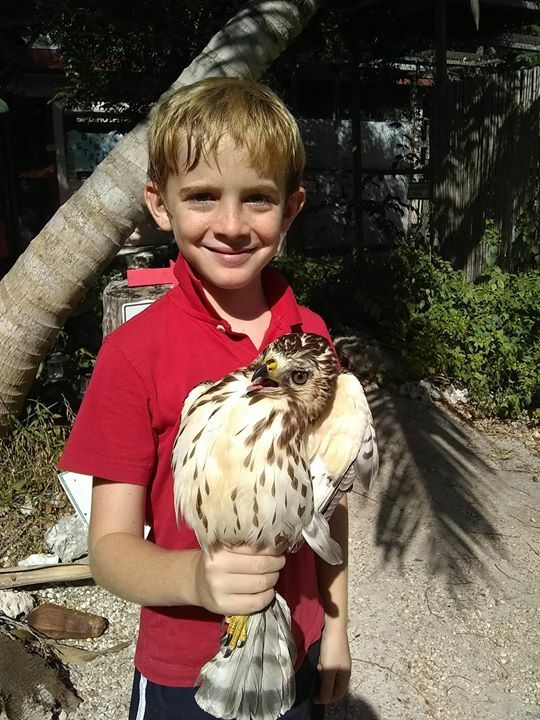 Here, my 8-yr old son Noah, releases his first hawk! It’s not easy to get a picture of the bird in flight because they’re fast and we are surrounded by trees the bird blends into. Please SHARE and DONATE to help us to keep helping them! !